We are pleased to have the opportunity to provide services to you in the convenience of your home. We are committed to delivering your home Nursing Care in a prompt and orderly manner, along with the education and training necessary for you and your representative to participate in your care. Our hours of operation are Monday through Friday 8:00am-5:00pm except on holidays and Saturdays from 9:00am-12noon. 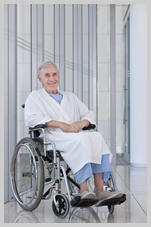 Our goal is to ensure that your home care experience is memorable. We will make every effort to match your home care needs with the most competent staff. All our staff members have the experience and related training to meet your home care needs. Services will be available to you 24 hours a day, 7 days a week. Calls will be referred to the answering service each day at the end of the agency regular hours, weekends, and holidays. The answering service will beep the on call staff with any calls from patients and staffs. If you have any questions or concerns after hours, feel free to call our main number. Our On-call staff is equipped to answer your call and coordinate services in an emergency, and will document all calls received and action taken. Our Nurse Director will also go over them with you during admission process. We are committed to caring for you as our client and we look forward to serving you. Thank you for your choice in Absolute Care and we hope to provide you with the best care/service possible. We consider you as part of our growing family the moment you call us. We want you to know that we can take care of you with our vast specialized services. We are looking for professional individuals who are driven with hard work and commitment. Be part of our team now.